If you follow Trim Healthy Mama (THM), then you definitely know about Good Girl Moonshine (GGMS)! GGMS is absolutely delicious and has many great health benefits. My favorite kind of drinks. I had some strawberries in the fridge that needed to be used up. This is where Strawberry GGMS was created! 🙂 It is still a FP (fuel pull)!! 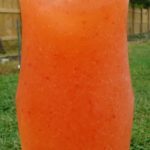 Adding the strawberries in the GGMS makes a killer drink! It didn’t take any time to consume. Just amazing. Okay, enough talking. You just have to try it! 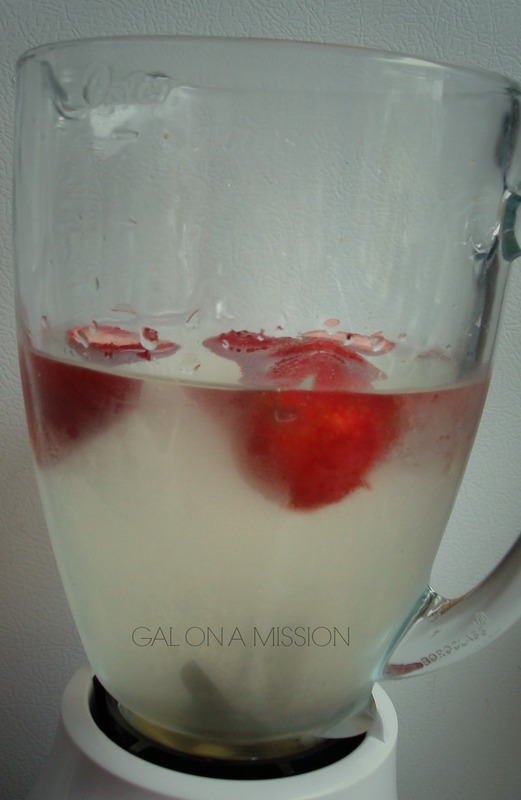 In a blender, add the water, ice, raw apple cider vinegar, ginger powder, and strawberries. Pulse until the strawberries have mixed and are incorporated. Pour into a quart jar on top of ice. I love this – I added…a pinch of cayenne pepper & vanilla extract – Yum Yum!